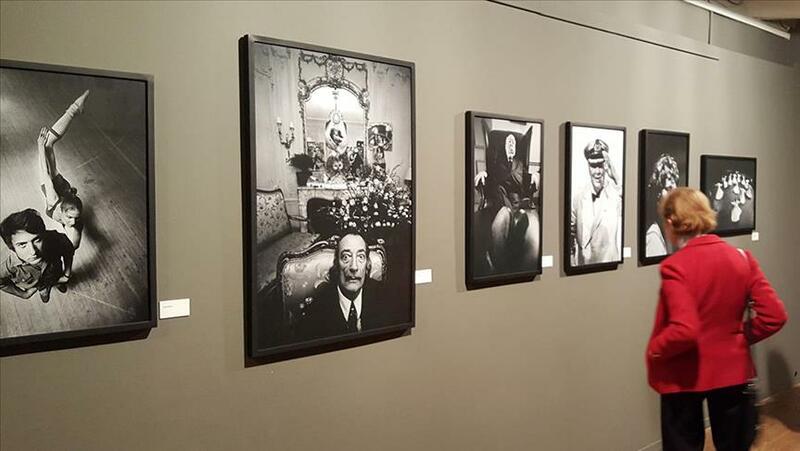 Looking at the portraits by Ara Guler, one could easily be amazed by the impeccable images of prominent figures such as Salvador Dali, Picasso, Sophia Loren and Alfred Hitchcock. But the importance of the journalistic work of the Armenian-Turkish photographer lies in his ability to turn the day-to-day environment and common subjects into extraordinary moments and characters. Guler’s legacy represents the main visual record in Turkey from the 1950’s through the 1970’s, particularly in Istanbul. Art lovers in Bogota can get a glimpse of the human and social aspects of his work in a special exhibition that opened Monday. “Ara Guler, Witness of a Century, Istanbul, Anatolian Civilizations and portraits of Celebrities,” will run through March 10 at the Gilberto Alzate Avendano Foundation, in Bogota’s historic center. In the world of photojournalism, Guler is known as the “Eye of Istanbul”, not only because there was where he studied filmography, theater and economics before finally turning to journalism, but because he managed to capture daily life in only city in the world located on two continents. Guler spent his days in the coffee shops of the city, talking to the everyday people -- getting to know their stories and using his lens to capture the essence of each subject. “Istanbul is a fascinating city because it reflects the identity of my country. It’s where East, West, North and South meet. It’s the capital of three civilizations [Byzantine, Roman and Ottoman], we have a huge cultural richness in terms of gastronomy architecture and ways of life. Guler’s legacy is about telling us the history of the city through his photos,” Cil said. Guler’s career as a photojournalist began in 1950 at the daily Yeni Istanbul before joining the Hurriyet. In 1958, he was named the correspondent in Turkey for Time-Life magazine where his work was recognized and led to hires by other international magazines including Stern, Paris March and the Sunday Times from London. In 1961, he became the head of the photography department of the Arab magazine, Hayat. That same year he was recruited for the Magnum Agency, one of the world’s most important photography agencies. His photograph, Porters Waiting for a Job at the Oil Dock, captures the quiet and comfortable expression of workers as they talk while waiting for instructions to lower a ship's cargo, according to Cil. “In this photograph, each person is in their own world, it awakens our imagination and makes us think about the story of each one of these characters. Turk poet and author Onat Kutlar says that when he sees this image, he feels like he has read a thousand volumes of books like The Grapes of Wrath from [John] Steinbeck,” she said. Guler has a unique definition for photography that he said does not necessarily have to be art, but needs to depict any historical fact. “With a photo, you capture history, you stop it with a machine,” he once said. Ozturk shares the same perspective that photography needs to capture reality. “When it comes to art, you can lie, and there’s a world of imagination and fiction, but in photographs, the history is preserved”. Guler is the most well-known Turkish photographer and was the first Turk to become a member of the American Society of Magazine Photographers. Currently, Guler, who will turn 90 later this year, preserves his tea-drinking tradition and still talks to patrons at a traditional coffee shop in Bayoglu, Istanbul. Sophia Loren and Alfred Hitchcock.